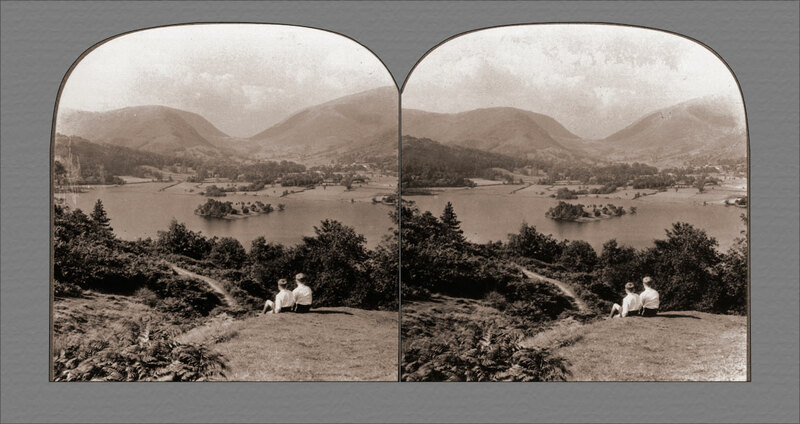 Lake Grasmere, Gem of All the Lake District and the Village from Red Bank, England. We are in the center of the lake region in northwestern England, famous for its natural beauties and the wealth of its literary associations. Many of England's foremost poets have drawn inspiration from these parts. Gray, DeQuincy, Tennyson, Coleridge, Southey, Wordsworth, Dr. Arnold and the boy Matthew Arnold, Ruskin and Shelley all knew and loved this true poets' setting of hills, sky and water. 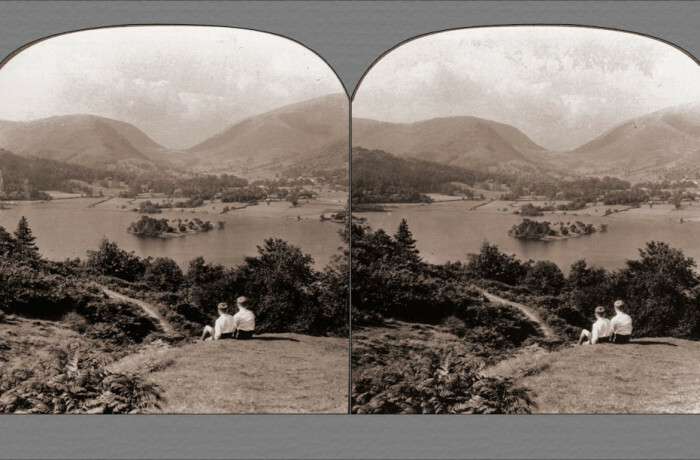 In the early part of the nineteenth century some of the most able and influential literary work in all England was being done by men who lived in this lake district. Wordsworth was born here in Cumberland and found in its beauties and the plain country life of the region the direct inspiration for a great many of his poems. He lived at Rydal, only a few miles from here, situated between Lake Grasmere and Lake Windemere. Robert Southey's home was for a long time at Keswick, a little village not far distant. It was while here that he did his most important work as an author and here he lived during his term as poet laureate. His well known verses on "The Cataract of Lodore" refer to a brook near Keswick. Coleridge lived at Keswick also for a few years. Brantwood, the home of Ruskin for the last thirty years of his life, is near Coniston Water, one of the largest lakes in the district. On the same lake, about a mile from Brantwood, Tennyson drew his inspiration for a time. But of all the illustrious "Lake poets," it is Wordsworth who is most closely identified with this region, so much so that the district is sometimes referred to as Wordsworthshire.